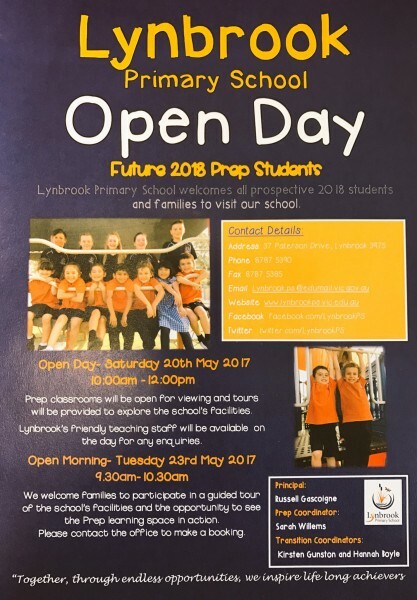 At Lynbrook Primary School we endeavour to make the transition to Primary School as smooth as possible for your child. 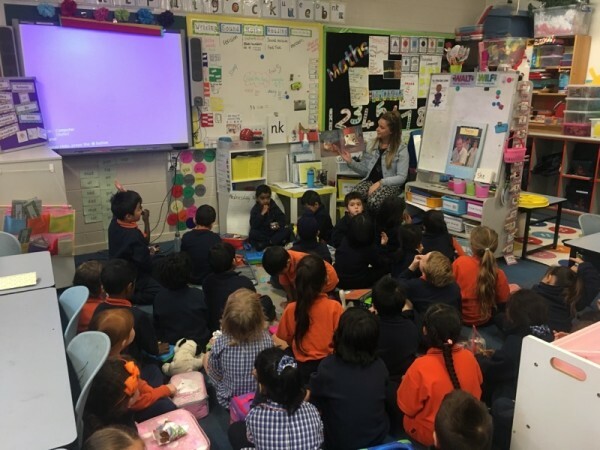 Prep is a very important and exciting time for your child and Lynbrook Primary School provides a supportive learning environment that will encourage your child to grow. Enrolment packs will be available from the school office on the day. Enrolments will open as of the 20th of May 2017. Before enrolling your child, please note that to attend Primary School your child needs to have turned 5 years old by the 30th of April 2018. Parents are also welcomed to attend our Open Morning session on Tuesday the 23rd of May 2017 from 9.30-10.30am. This will provide parents with the opportunity to experience our learning environments in action. Tours will be provided and will need to be booked at the office. The office staff can be contacted on 8787 5390. To help us get to know your child, Lynbrook Primary School conducts Early Years Evaluation interviews and transition sessions, which will commence October 2017. Information will be distributed from August to enrolled prep students for 2018. The school also holds extended transition programs for students who require additional assistance to transition into the school setting. If you have any questions about the transition process or your child’s individual needs please feel free to contact Kirsten Gunston, Hannah Boyle (Prep Transition Coordinators) or Sarah Willems (Prep Coordinator) on 8787-5390, who will be only too willing to help. 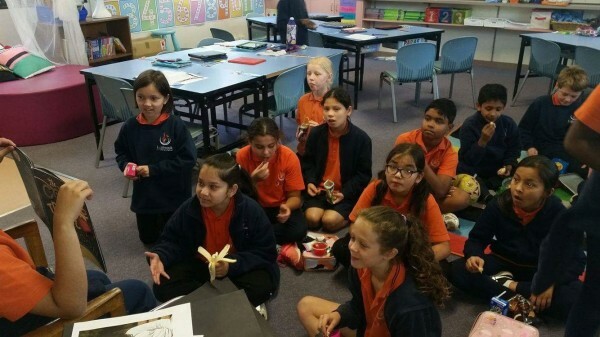 All students have experienced a ‘Mindfulness’ workshop throughout the week, led by Mrs Campbell. 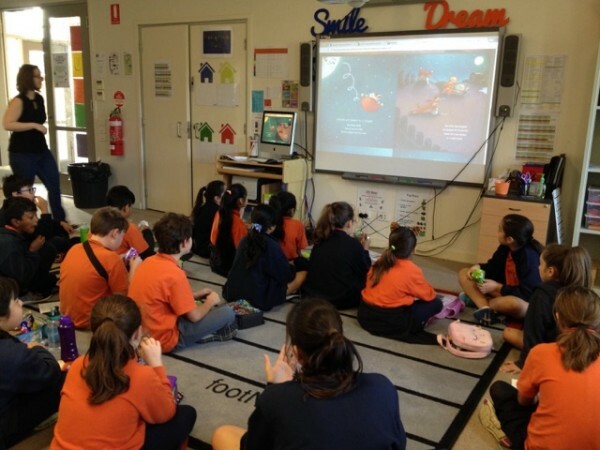 The students learnt breathing and relaxation tricks to help calm their minds. 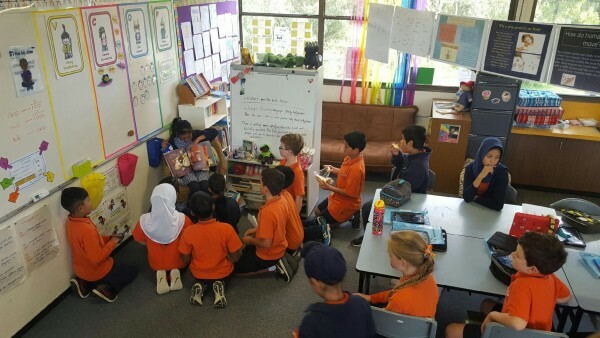 On Wednesday the whole school stopped to listen to the enthusiastic, Mr Cope read the story ‘The Cow Tripped Over the Moon’ as part of National Simultaneous Storytime. Along with the rest of the country, there was plenty of giggles and laughter at this very funny twist of a nursery rhyme. Each class has created a colourful poster to fit the theme “Healthy Body, Healthy Mind’ which are on display in the Performing Arts Centre. 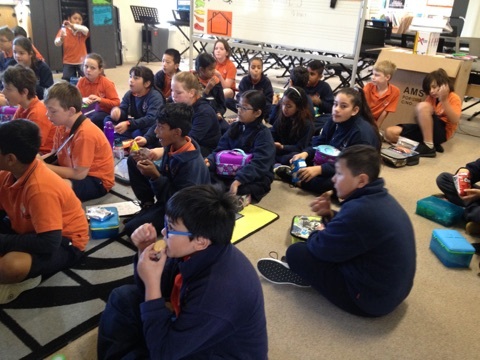 Prep B celebrated our 10 Year Celebration day with special number 10 cookies.